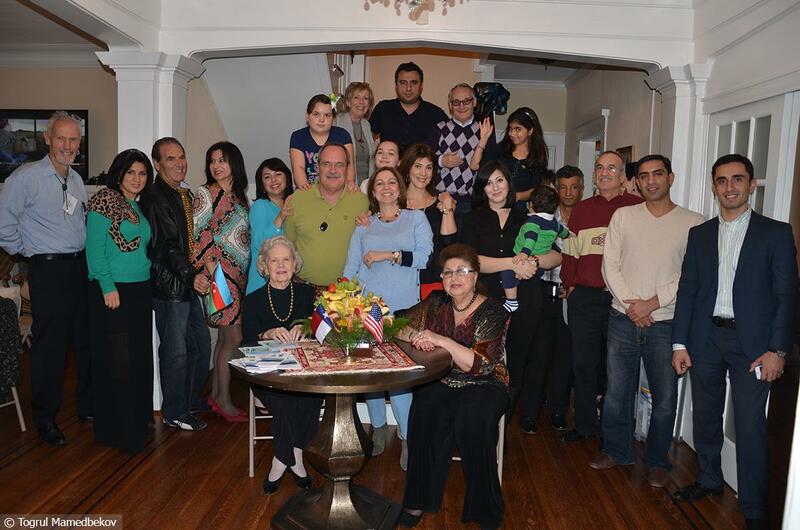 The Annual Thanksgiving Potluck event was hosted by the Azerbaijan Center in Houston, Texas on November 30th, 2013. One of our biggest community events of the year, the Annual Thanksgiving Potluck Feast is where old friends and new neighbors gather together and enjoy a traditional Thanksgiving dinner with all the fixings as well as good music and dancing.Guests brought turkey, salads, sides and deserts inspired by their own family traditions. “Thanksgiving Day is a time of festivity, family meals and reunions in America. It is also a time to show your gratitude and respect to your elders, friends, your siblings and also your colleagues; therefore, I am happy to host such event at the Azerbaijan Center”, said Irada Akhoundova, president of Houston-Baku Sister City Association and Azerbaijan Center.